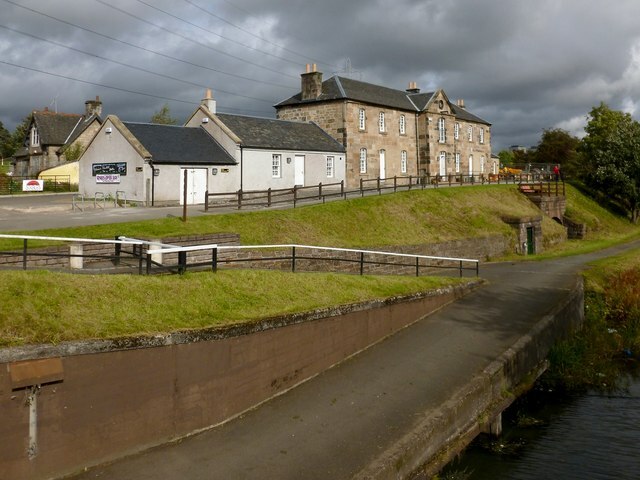 The nineteenth-century stables are described at Link (at Canmore) as "Horse Barracks", one of several stable blocks that provided fresh horses for drawing fast passenger boats along the canal. The Canmore page also includes some older photographs of the buildings. The buildings had become derelict, and some of them were roofless by 2002, but they were refurbished, opening in 2011; amongst other things, they provide educational resources for the local community.